Educated at Harvard University, USC Film School, and Boston University School of Law. Chey's work has been seen on E! Entertainment, The Wall Street Journal, The LA Times, VIBE TV, MTV, Daily Variety, Hollywood Reporter, TNT, USA Networks, the Dove Awards, MovieGuide Awards, People Magazine, and the New York Times. Chey has produced, written and directed nine feature films, including his latest ‘Epic Journey’ (2013) which took him to 27 countries and ‘Final’ (2013) based on his novel. He also produced ‘The Underground Railroad’ (2013) starring Cuba Gooding, Jr. William Sadler, and Sharon Leal. In 2011, his film, 'Suing the Devil' starring Malcolm McDowell, Tom Sizemore, Corbin Bernsen, Rebecca St. James ranked #8 nationwide out of 17,000 movies on Walmart’s On Demand. The film was shot in Sydney, Australia and won the coveted 5-star Dove Award. Chey is the winner of two 5-Star Dove Awards and was the recipient of the prestigious 'Spirit of the Independent' award for Best Director. 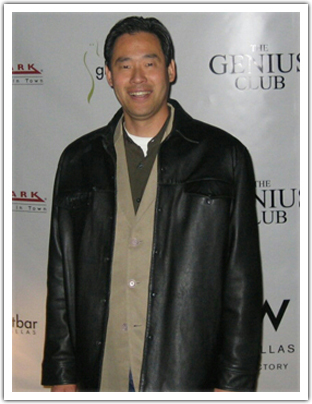 He served as chairman of the Student Awards committee at the Director's Guild of America. He divides his time between Honolulu and Los Angeles. He's happily married with two children.